Our simulator is brand new and 1:1 scale, the visuals are the best available and the sounds are sampled directly from the real aircraft, add background air traffic control, passengers chatting in the cabin and you would be forgiven in thinking you weren’t fully loaded and ready for a days delivering travelers around the world. This amazing flight simulator experience will see you taking off and landing at all the major London airports. 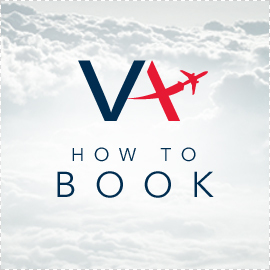 Start on the runway at Gatwick, climb to 10,000 feet and make the short trip to Heathrow where you can hone your landing skills with a touch and go. Power on and this time you will climb to 25,000 feet over the next 60 miles as you head for Luton. Once overhead you complete a rapid emergency decent covering 25,000 feet in just 2 minutes! A touch and go here and we make a climbing turn to position ourselves for Stanstead. Another touch and go and with your confidence now sky high you will be ready to make the ultimate landing at the very challenging and tiny London City runway. 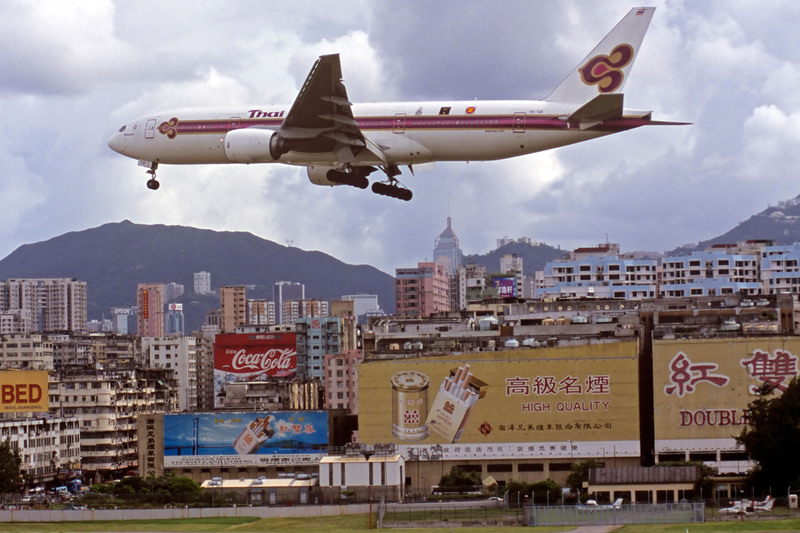 OLD KAI TAK FLIGHT SIMULATOR EXPERIENCE (1 hour flight time) BEST SELLER!!! This is without a doubt our bestselling challenge! 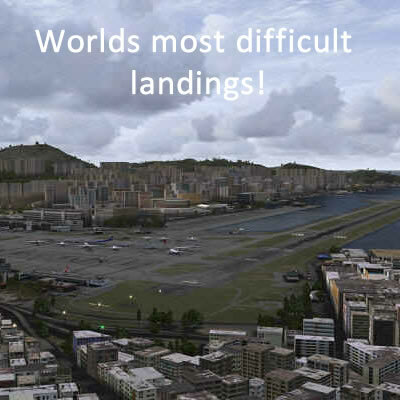 You will enter the cockpit to find yourself at the new Chek Lap Kok airport, taking off to the west we will climb to 10,000 feet so you can get a feel for the aircraft, 15 minutes of general handling and you’re ready for the ultimate approach. This amazing approach will see you descending over Hong Kong harbour and into what appears to be the middle of the main town. As you get closer you will pick up the lights that lead you around the banking approach with barely enough time to bring wings level and land. Full throttle and we will power back into the air, gear up and flaps up and staying low you will see a city as you have never seen it before. We will position the aircraft at just 250 feet where you will fly low level across this amazing scenery. Lined up once again it’s now time to prove your metal with a completely unaided landing hopefully on the runway and not in the sea! Innsbruck Landing + Low Level Mountain Flying (not recommended for people with motion sickness). You will enter the cockpit lined up on runway 27 to find a 6000 foot mountain at the end of the runway! Some nifty flying is required, especially if there is a low cloud base! 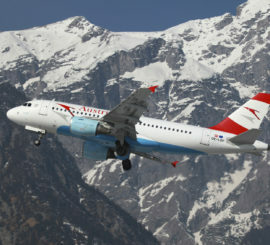 Fly in heavy snow storms or through the fluffy clouds of a summer alpine day, the choice is yours. This is a visually stunning challenge particularly when flying low level through the mountain peaks. Initially lined up, engines running, on the runway. Seat belt signs on, flaps down and off you go! Your flying time later and you will still be left wanting more! 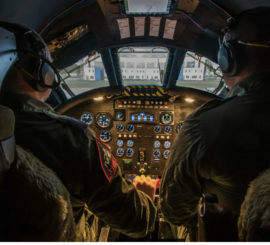 Spectator jump seat – share your experience with friends and family. 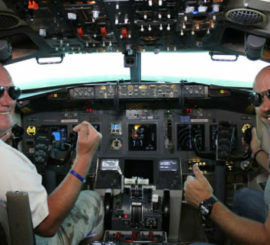 All instructors commercially qualified pilots / current airline pilots. Cheapest commercial flight simulator in the UK. 120 degree wrap around visual system for total realism. Real B737 engine and cabin sounds. 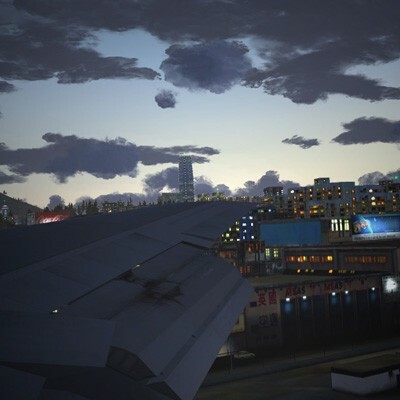 High resolution, ultra real graphics including more than 25,000 major airports around the world.